Make a yellow collage using yellow crafts supplies. Make yellow hand prints for your yellow books. Make a yellow sunshine with paper mache. 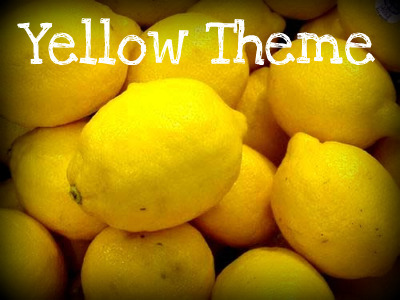 Do a yellow scavenger hunt. Do a yellow watercolor painting. Have a yellow meal: lemonade, lemon bread, bananas, pineapple, macaroni and cheese, cheese and crackers etc. Did you like the yellow theme? Try more color themes here.